Get expert help for company formation, registration, incorporation & more. Request a free consultation for your Mainland company formation in UAE (Dubai, Sharjah, Abu Dhabi). Contact us to Start New Business & Company setup in few days only. Low Start Up & Operational Cost. Your One Stop Shop to Form your Company in UAE! No Hidden Cost. UAE Bank Account. 100% Tax-free. 100% Ownership. Consult us for Services: Dubai company formation, business setup consultant in Dubai, Abu Dhabi company formation , Sharjah company formation,Sharjah Freezone company formation,Mainland company formation in Dubai, PRO Services, new business setup services, Company Registration, incorporation & Formation in Dubai, Sharjah or Abu Dhabi. Goldman Consultancy Dubai – The leading business setup specialists. Goldman Consultancy is the Company Formation and new Business Setup Services Consultant in UAE (Dubai, Sharjah, Abu Dhabi). Get expert help for Business setup & company formation, registration & incorporation. Specialist in Low-Cost business setup and company formation in Dubai. Helped many Entrepreneurs & Startups to setup business in Dubai. Consult Now. Book A Free Appointment. Make A Quick Inquiry. Dubai, UAE is one of the best geographically located places in the world to start a new business. Dubai aids in reaching 2/3rd of the world destinations and population in a maximum of 5 to 7 hours of flight. That makes Dubai a favored city for starting a business, as well as a strategically very important location on the planet for offshore business setup and doing any business with ease. Not only that, but residents of Dubai are very business-oriented, which means they know how to accommodate and adapt to new business ideas and ventures. The residents of Dubai provide the perfect ground for any business or start-up to efficiently and easily test out ideas and initiatives, which is yet another thing that makes Dubai the perfect place to kick-off your business, no matter how different or out-of-the-box your ideas are. The world’s business dynamic is changing at a very quick pace, and lots of local businesses are turning into global businesses overnight. Small and medium businesses are flourishing with the help of most appropriate guidance by various consultant agencies or companies and global reach of client and audiences. Dubai is a tax-efficient city, which has made it the main and most attractive center for setting up a business. It provides a rich atmosphere for the usage and optimization of never-ending market opportunities present under its wide umbrella. The economy of Dubai is quickly flourishing, with stable politics which have contributed a lot in properly aligning new business opportunities. Dubai is well-known on a global scale for being one of the quickest strategic decision makers in the region. 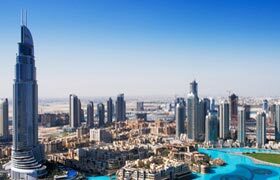 Dubai is a highly efficient city, especially when it comes to business practices since the entire economy of Dubai is based on supporting businesses and giving them the platform they need to grow properly. This means that when starting your business in Dubai, you will find lots of support and facilitation when it comes to taxes, documentation, bureaucracy, and financing. However, it’s not a simple process. Starting a new business in Dubai, you have so many benefits to gather from the city’s resourceful and stable economy. But, how do you start a business in Dubai? Establishing your business in Dubai is an intricate process full of many details and aspects you need to consider well before kick-off. While Dubai provides you with a good starting ground, the success of your business still depends on your willingness to work hard and in a consistent manner in order to get where you want to be. Company formation consultant in Dubai is your one-stop company for a successful and smooth business establishment which paves the way for attainable goals and investment-worthy business endeavors. At GC you can get the quick, easy, and efficient assistance for starting up your business in Dubai or UAE, with the help of our industry-specific, extremely professional team of experts. Our team of experts is highly familiar with the market demand and the market risk factors. GC’s operation philosophy is built upon providing quality assistance and services which are tailored to help your business get properly set up, get started, and grow with new and suitable opportunities. We know the technicalities and the ethos of business formation and establishment, and we have full awareness of what it takes to start a business. To successfully carry out a business establishment, you need to have complete knowledge and strategy to follow from the first day. Establishment of any business takes years and a lot of hard work and dedication, and here at GC, we are determined and committed to fully pass on our knowledge and experience to our valued clients. Our team of experts will work had around the clock to provide you with efficient, case-specific solutions and strategies for all your business queries. With our company and consultants, you will get the best business setup guidance which will help you in flourishing your business and taking it to a new level. What does Goldman Consultancy provide? Our list of services and expertise spans a long and inclusive range. Firstly, the type of business you want to set up directly determines the type of licenses you are required to earn. Whether it is a commercial, industrial, or professional license, we will assist you in the best possible way. GC consultancy will help you in the preparation of the documents, banking requirements, visa requirements, taxes, as well as VAT support. The second and most important step following licensing is arranging the meetings with local, private, and multinational banks. As our expert team of consultants has a rich experience in all aspects of banking and financing, we will be able to help you in reaching the highest levels of professional banking relationships with the top local, private, or multinational banks in Dubai and the UAE. We provide ample banking options in Dubai, UAE, DIFC, Switzerland, Cyprus, and Singapore. Hence, our consultancy will assist you at each and every step of your way towards starting up a new business setup in Dubai or the United Arab Emirates. By partnering with Goldman Consultancy, you will be provided with all the help you need in any of the three categories above. Goldman Consultancy is the best business set up a company in Dubai, simply because our team operates in ways which are futuristic and trendy. Additionally, our team is highly knowledgeable of the technicalities and intricacies involved in setting up a business. GC has a large portfolio of entrepreneurs and small/medium enterprises that we successfully helped in starting their businesses in Dubai. Our expert consultants not only help you in the registration process in any of the Emirates, but we can also assist you further in marketing your skills, services, carrying out successful and well-planned promotional activities. Each of our consultants abides by a strict and dedicated mission is to provide assistance, pass on experience, accommodate the needs of our partners/clients, and work smoothly and efficiently together. Our consultants aim to encourage the entrepreneurs and creative thinkers to come forward and set up their business in Dubai where we will help them to grow further in the United Arab Emirates. At Goldman Consultancy, our clients are also our partners, and our success is strictly dependent on theirs, and vice versa. This is why our team at Goldman Consultancy is very keen on understanding all your needs and goals, and vehemently studying the scope and atmosphere in which your business will operate. Our team of experts will thoroughly study any case presented to them and will make sure to have our partner/client’s approval and input on any step we take or any plan we develop. Here at Goldman Consultancy, we pride ourselves on being client-oriented, and always keeping our client’s best interest at sight throughout our operations. By now, we know you have most probably decided to partner with Goldman Consultancy. Well, sit back and get ready, because you are about to have the experience of your life. The foundation upon which Goldman Consultancy was built is to exist solely for the clients and to serve them to the best of our abilities. Our team of professional consultants is always present to help our partners/clients in making the most appropriate business decision and to guide them in their future business requirements. 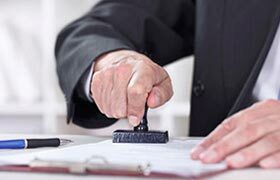 We can also guide our partners/clients through the complete procedure of mainland, free zone, or offshore company formation in Dubai, United Arab Emirates. Our team is also fully aware of and capable of successfully and efficiently carrying out the formation procedures for the mainland, free zone, or offshore companies with the Dubai Department of Economic Development, DED. At Goldman Consultancy, we allocate our resources equally between all of our partners/client, without comparing them based on capital value or business type. Our dedication and ability to work with all types and sizes of business makes us the best at what we do. We understand and appreciate the value of a business to any individual and hence we always stand up to assist and help those in need with the best service and round the clock assistance. We guarantee you that we will give you the top-quality advice and assistance which you pay for, to help you in taking the best business formation decision while not being overloaded with each small detail and specifications. Goldman Consultancy will be at your assistance whenever you need us, as we are always focused on creating a good atmosphere to enable your creative process to reach its peak. This way, you can be sure that partnering with our consultancy will allow you to success both on the business front and the creative and promotional front. When starting up a new business anywhere in the world, it’s crucial for the success of your business to understand the dynamics of the city and country in which you are planning to operate. Because our team of experts is highly diverse in background and fields of experience, we can guarantee you that any questions you have will be answered. Questions like whether you should choose a free zone or start your business on the mainland have never been easy to answer with just a google search. Which emirate should you choose? How many visas will be appropriate for your startup, and how can you obtain them smoothly? What are the other parameters that I have to take into consideration? What are the registration procedures, rules, and regulations for setting up businesses in the area of your choice? What is and isn’t culturally acceptable in the country or area which you’ve chosen? These are just a sample of the many questions you will need to answer before starting your business. Setting up a business and successfully launching it is a big responsibility which needs your complete dedication physically, mentally as well as financially. A new startup company also needs to have a clear idea about the market risks and demands in order to get into the race. Our role at Goldman Consultancy is to make sure you have enough capacity to encompass all the questions and factors which you need to consider, as well as enough knowledge and a relaxed, calm atmosphere which assists you in making the right decision at the right time. Goldman Consultancy is here with a mission to support you on all your business setup requirements as well as to assist you to choose the best and most suitable package for your business idea from a wide range of available options which are also flexible based on your requirements and business type. Goldman Consultancy is a value-driven consultancy company and has a long track record of success stories which proves that we are one of the best agencies in Dubai and UAE. We believe in trust and transparency and uphold them in all of our dealings with partners/clients. GC also provides off-shore business set-up consultancy services at an affordable cost, without compromising the quality of service. Our team at Goldman Consultancy has a passion to thoroughly study your ideas and vision and use it to create a brand image of your new business. We are also associated with various agencies, which we cooperate with on regular basis to get the best and be the best. Goldman has an outstanding reputation along with proven experience to assist you in setting up your business according to your business need. Our mission is to establish your business with the best possible resources in the best, most economical and most efficient way. Goldman provides setup assistance for anyone aiming to open a business in Dubai. Whether you want to start a company, establish a company, initiate office setup, get business formation, carry out company registration for free zone or mainland companies, or get offshore queries, Goldman Consultancy should automatically be your agency of choice. We work within the regulatory framework of the United Arab Emirates, and in the past, we have assisted several clients from various groups and companies. Our reference list includes High Net Worth, Ultra High Net Worth, Small and Medium Sized Enterprises, as well as corporate. We also offer the services and assistance required for opening bank accounts with all the leading banks in your area of choice. Goldman Consultancy will not only help with informing you and your team but will also work on an advisory business model to make your company the best-suited company among other companies or agencies. Goldman Consultancy knows the essences of business establishment or formation, what it takes, and what the exact needs of each business type and size are. 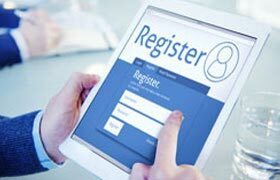 With the help of experts and consultants associated with us, we will provide you with the best business solution for all your queries regarding business registration. Our team consists of hand-picked experts who are the best at what they do, and who will provide you with the best and the most accurate information and scenarios that will help you be fully prepared for any risks or unexpected circumstances that may arise while you are setting up your business. Consultants are the best source to avail the services in a specific time frame and affordable manner. With Goldman consultants and experts, you will experience the best business startup suggestions and advice to help flourish your business and put it on the right track towards success. Not only do we help the client in forming a company, but we can also assist them to find the office headquarters or center based on the business size, type, and targeted areas. Goldman Consultancy also goes as far as assisting clients for preparing the best press release in the local or international newspapers to gain media attention. Additionally, if a client is looking to explore starting a website or using SEO for social media, Goldman Consultancy can provide you with all the expertise you need on that front as well. At Goldman Consultancy, we are always trying to be in touch with a wide area when it comes to forming a company locally or internationally. GC has resources and professional tie-up with firms internationally, which can assist clients in forming companies in Switzerland, Cyprus, London, Seychelles, Ukraine, Mauritius, Bahama, Malta, BVI, and many more offshore jurisdictions. We believe in giving a complete offshore and onshore solution rather than limiting our clients to the United Arab Emirates. If you are looking to start a business in Dubai without coming to Dubai City we will support you in those areas as well. There are some free zone areas where the company can be ready in one or two days, without visiting the United Arab Emirates. So don’t hesitate to contact us to get your company business setup.